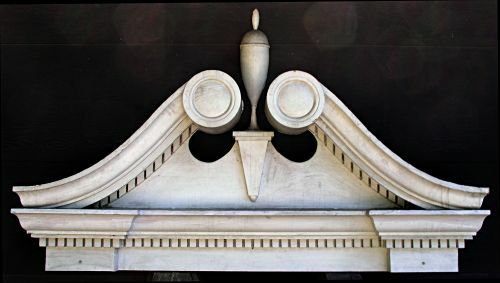 Architectural over door pediment from early an New England home. Very impressive piece from a Bellows Falls Vermont home.Would be great hanging in that special spot inside or reuse outside. Dimensions: Measures 6` 6" wide x 57" tall including the 23" center section.